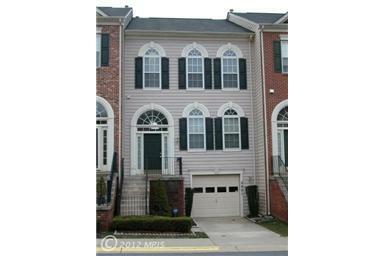 Are you finally ready to rent your house, condo or townhouse in Brookeville, Maryland (MD)? Whether you lack the time and expertise needed to properly manage your investment rental property, or are you finally ready to stop dealing with all of the pain that comes with being the owner, landlord, and rental property manager all at the same time, RE/MAX Premiere Selections can help! RE/MAX Premiere Selections has been specializing in rental property management in Brookeville, Maryland (MD) since it was founded by Dave Palmer in 1981. Located in Rockville, our rental property managers are always only a quick drive away from your rental property in case of emergencies, need for inspections, repair work supervision, or showing the rental property to prospective tenants. Why Choose Premiere Selections for Rental Property Management in Brookeville, Maryland (MD)? RE/MAX Premiere Selections has been managing rental properties (houses, condos, and townhouses) in Brookeville, Maryland (MD) and all of Montgomery County since 1981 and has the expertise to do the job right. Our team of over 35 rental property managers and real estate professionals knows the ins and outs of all rental and rental property management laws, requirements, procedures and issues that apply to rental properties in Brookeville, Maryland (MD). What makes the rental property managers of RE/MAX Premiere Selections qualified to manage your Brookeville, Maryland (MD) real estate investment? If you don't have the time or expertise to rent or manage your Brookeville, Maryland (MD) investment rental property, it's time to consider a rental property management company. And if you're going to consider hiring a rental property management company, choose one with experience - choose RE/MAX Premiere selections. For information on rental property management in Brookeville, Maryland (MD), call RE/MAX Premiere Selections today! Beautiful, well maintained, open floor plan in Manor Oaks. Cathedral ceilings, stone fireplace, deck w/view of wooded area, patio & small grassy area that is fenced in. Close to commuter route yet quiet neighborhood. Community pool, rec facility, walking/jogging paths close by.